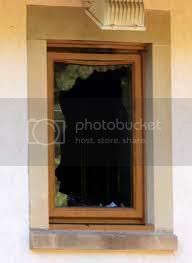 Personal Protection Tip: Over 80% of all break-ins involve either a compromised door or a broken window. As such, one way of fortifying your home against predatory invaders would be the strengthening of your windows. Several US home security manufacturers produce a film that can be applied to windows with an adhesive that makes them significantly harder to compromise. A window with the aforementioned coating is able to withstand powerful blows without shattering and allowing entry to bad guys. Thus, a homeowner who wishes to discourage an invasion of his residence should consider applying this film to all of their windows.